I saw the bands begin to spin around the earth. Faster and faster the bands spun until they formed a shield around the world. A planetary shield powered by human consciousness for Gia’s protection I named the DreamShield. After 10/10/10, exhausted from fostering events in LA, Nashville, Greece and Italy, I thought the angels would let me get some rest and get back to my life until 11/11/11. Wrong. 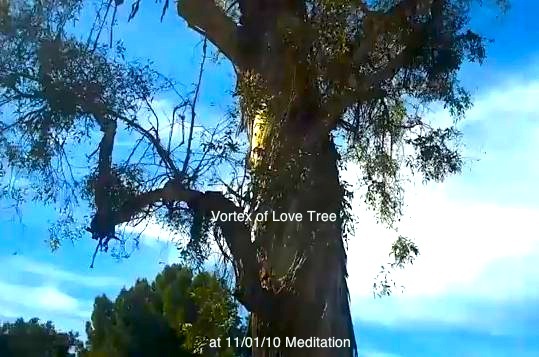 Within a matter of days after 10/10/10 the angels would send me messages about different meditations to perform from earthquake reduction, finding better sources for energy, ending addiction, healing the world of child abuse and more. 30 some planetary meditations later and countless visions guiding them and helping me understand it was 9/11/11. Facebook’s functionality broke down and a few friends in the group were exhausted with the pace of all the insanity of the Shift. So turnout was light this past Sunday, 9/11/11. The angels never fail to amaze me though. And when Laura, after performing a flawless meditation and singing a sacred song about 9/11 she wrote herself, gathered us about the monument I saw the 7 of us were the perfect number to encircle the monument. I was so pleased with our lovely group I almost cried. I could go on writing, but a picture is worth a thousand words. And 30 pictures taken by ace photographer Bob Jenkis are worth a million when set to the music of Philippo Franchini. Angels, give me strength. But one thing I do know. 9/11/11 was a key juncture. We on the dream team are filled with vitality and inspiration. The hard work of the first year of the Shift is over. And I could not have done this alone. it’s been amazing the support I am given when I look back on it. Sponsors, free rooms to live in, amazing food, workers and an amazing partner who has passion for this work to match my own, Laura De Leon. And here is the fantastic tribute to the fallen Laura sang a capella. Many were moved to tears.